Designed for ALL SKIN types, our all-in-one super concentrated natural moisturiser also tackles MULTIPLE AGEING CONCERNS and helps to PROTECT the skin from harmful UV & IR light. Helps to reduce lines and deep wrinkles, enhance radiance, skin elasticity and firmness, reduce the appearance of open pores, age spots, rosacea and acne while helping to uplift mood. 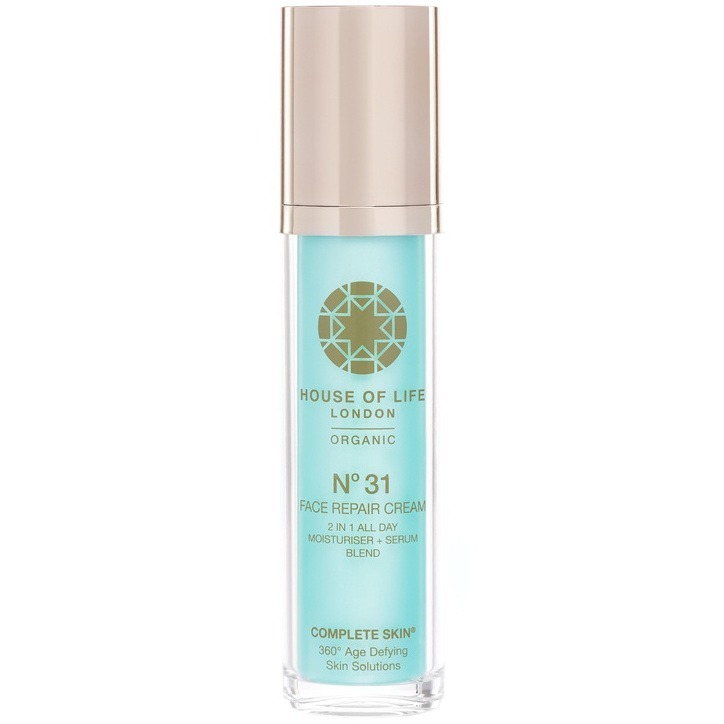 Our blend of 30 CLINICALLY PROVEN NATURAL AND ORGANIC ACTIVES of the PUREST and FINEST quality, is fused with the latest natural PHOTO-AGEING PROTECTION technology. Extracts such as SEA BUCKTHORN, KNOTGRASS, and HORSETAIL, provide over 190 types of nutrients, including OMG 7-rich organic acids, super antioxidants, flavonoids and collagen-stimulating silica. Our potent GERANIUM ROSE-infused ESSENTIAL OIL BLEND helps to REVITALISE your mood and deliver deep SKIN CORRECTION 24/7. 1. Warm one pump of moisturising cream between your palms. 3. Massage onto clean skin, in slow, upwards sweeping movements starting with on the cheek area, moving to chin, jawline, nose and up across the forehead. Use 2-4 pumps twice daily after your cleansing routine. Use alone or in combination with other products. Keep in a cool place or at room temperature, out of sunlight, heat and children's reach. • Knotweed contains in Serene clinically reduces the visible signs of photoaging by increasing firmness and elasticity. 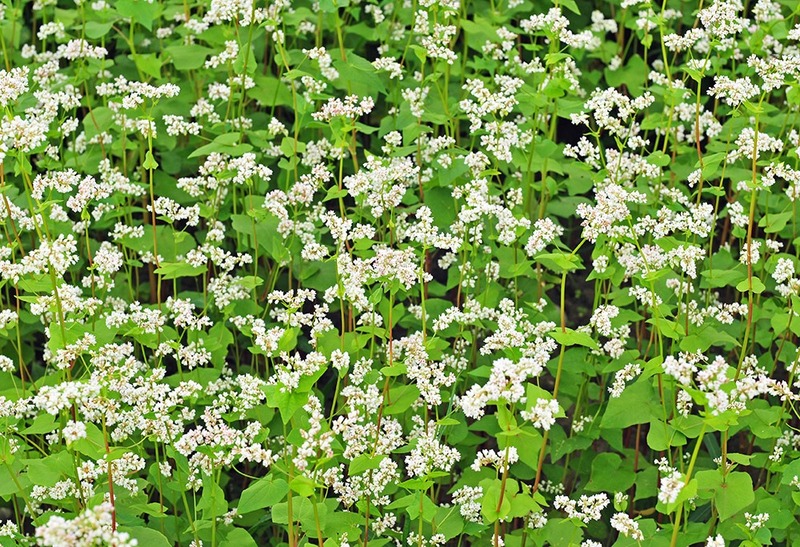 • Knotweed contains in Serene visibly reduces the appearance of wrinkles and smoothes skin surface. 100% of the subjects demonstrated a significant effect. 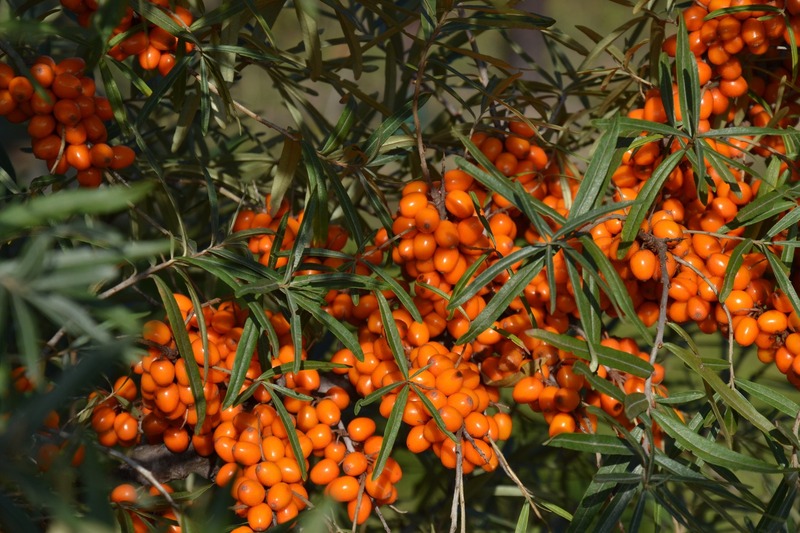 Buckthorn contains over 190 nutrients and phytonutrients, making it an extreme super food. It has been shown effective in a wide variety of ailments, including: acne, burns, dermatitis, eczema, rosacea, stretch marks, and wounds. The super berry also contains high amounts of the important healing enzyme superoxide dismutase (SOD) — four times more than ginseng, another good source of SOD. The high amounts of Omegas, mainly omega 7 which is rare, help skin cell regeneration, minimizing wrinkles. The berry is rich in multiple lipophilic and hydrophilic bioactive compounds such as vitamin C and E, carotenoids, flavonoids, fatty acids, plant sterols, lignans, and minerals; reducing oxidation and strengthening membranes. 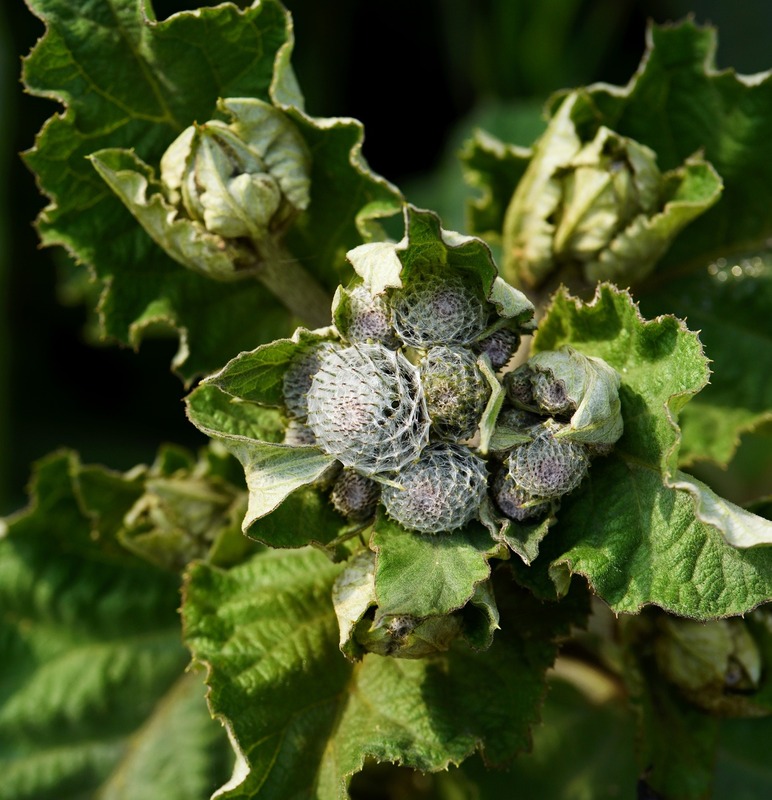 Burdock is used in the treatment of common skin problems such as eczema, dermatitis, psoriasis and skin dryness. 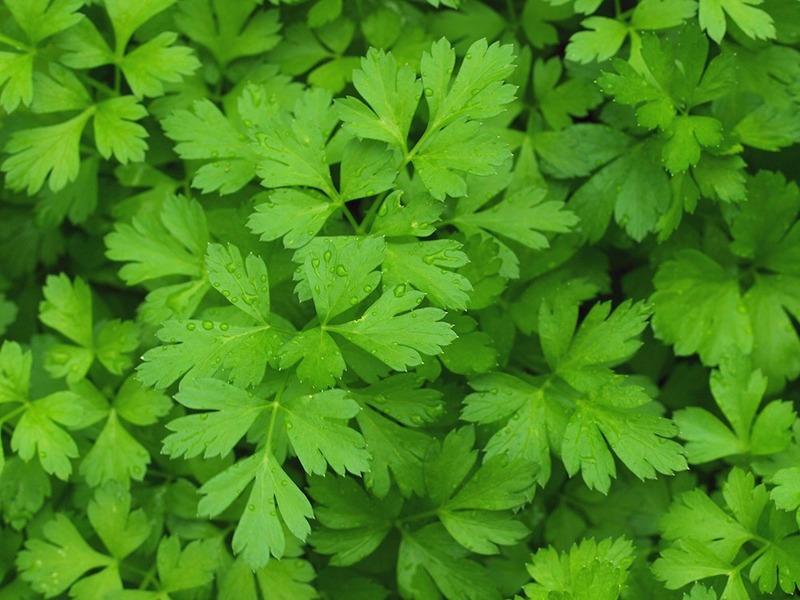 It contains many vital nutrients including folic acids, riboflavin, pyridoxine, niacin and powerful antioxidant vitamin E and C.
Parsley is extremely rich in protective antioxidants, betacarotene and flavonoids and has multiple benefits for the skin. It helps speed up the healing process, soothes irritation, helps to fight premature ageing and boosts collagen levels. It also helps to balance sebum production and uneven skin tone, and has antifungal and antibacterial properties which makes it a potent force against spots and blemishes. Potato is rich in starch which helps to boost skin elasticity and strengthen the epidermis. 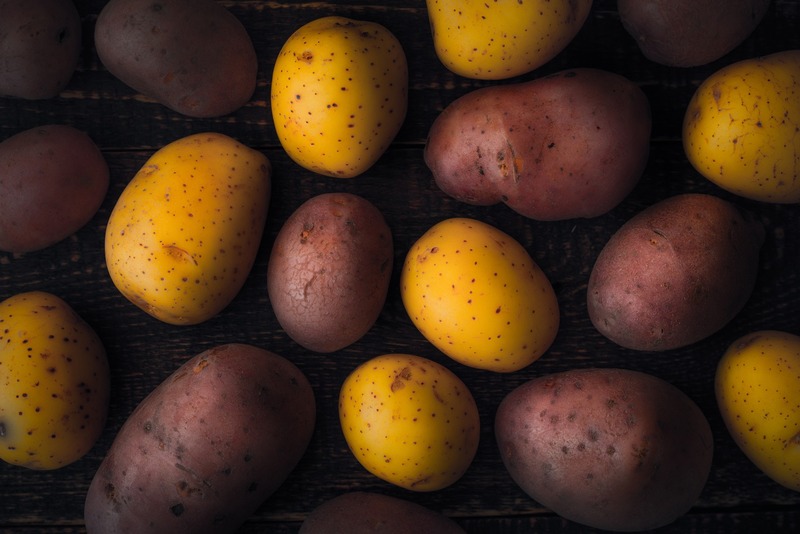 Biotin is also found in potato and is used to help regeneration and moisturisation, while the plant's natural iron content helps to oxygenate the skin and reduce deep wrinkles. Tetterwort contains 20 forms of alkaloids, saponins, flavonoids, vitamins C and A, essential oils and organic acids, which help it to have a positive effect on the skin. It is known to help ease irritation, inflammation and age spots, remove dead skin and restore the balance within the epidermis. Knotweed contains flavonoids and Inhibits production of cathepsing and enzyme involved in photoageing, Knotweed is clinically proven to be capable of fighting infrared-induced skin aging and increases firmness and reduces the appearance of wrinkles.